Home Travel/LeisureTravel/Leisure	Would You Like an Illegal Costa Rica Volcano Tour For Cheap? Would You Like an Illegal Costa Rica Volcano Tour For Cheap? Costa Rica Travel – It is an extreme hike, not only because of the risk involved, but also because the traveler must be in excellent physical condition to conquer the volcano crater. Tour guides lead tourists from Bajos del Toro at Valverde Vega, to the warm lagoon in the crater of Poás at the National Park. The tour lasts approximately six hours and is promoted on the Internet. According to the announcements online the cost is ¢ 6,000. Those adventurous enough to do this hike can expect steep slopes, passing by farms and entering unauthorized sites of the park. 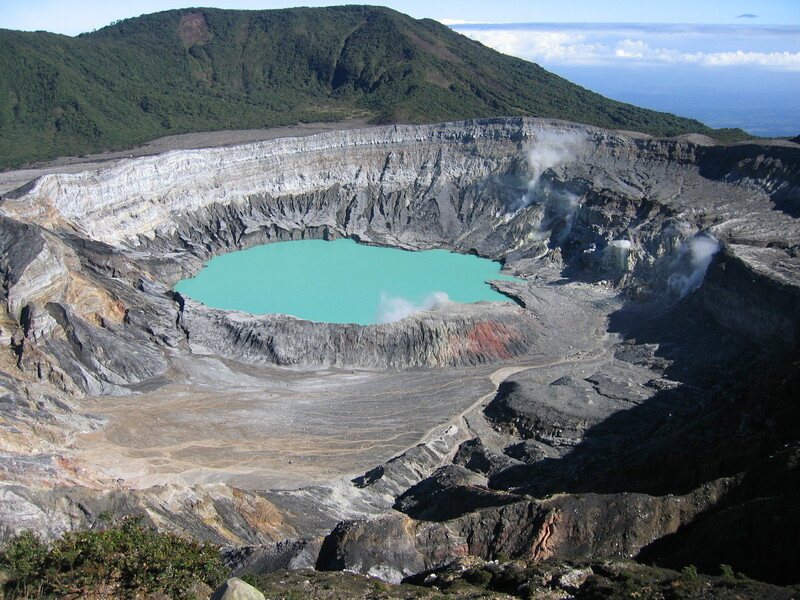 Volcanologist of the University of Costa Rica (UCR), Raúl Mora Amador, warned that people who take this tour are at great risk because they are exposed to toxic gas emanations and even to unforeseen phreatic eruptions. As an example of the danger Mora cited an incident that occurred on September 27, 2014 in the Ontake volcano in Japan. It suddenly made a water tableau that killed more than 50 people who used to walk around the mountain. This proves that groundwater also causes deaths. Redy Conejo Aguilar, administrator of the Poás Volcano National Park, described these routes being used by the guides as prohibited and illegal. He explained that the tours are done outside of official hours and these people interfere with ecological processes impacting them in a negative way. They also threaten the integrity and safety of those that trust in them because these are high-risk sites. Conejo reported that about 50 people were already warned and said that if they are repeat offenders they will be placed under the order of the Public Prosecutor’s Office. If a written notification already exists, a criminal proceeding for disobedience could be instituted, with a penalty of six months to three years in prison.He said that the park has enough signage that warns about the danger and which are the sites authorized for visitors. One of the guides, named Issac, admits that the travel is illegal and he does let people know, however, they still want to get to the top of the volcano and he takes them. He affirmed that during the tours no person has been harmed, despite the abrupt terrain where they must walk. Issac explained that the tours have been made for more than two years and are not openly promoted. On the web it is easy to locate several pages that advertise the trips, and YouTube has videos in which the walkers are seen reaching the edge of the crater. As a measure to prevent more people from visiting the crater illegally the Ministry of Environment announced that they will notify the organizers of those trips that they are doing illegal work.